In our current exhibition, “Operation Restore Defenestration”, Brian Goggin collaborated with other artists on his limited edition silk screen prints. One of the artists is 1:AM’s very own art director, Roman Cesario. With Brian’s whimsical imagination and Roman’s funky style as well as professional printing by Logo Graphics, you can only imagine the freshness exuding out of these pieces. The collection of limited silk screen prints by Brian Goggin were inspired by art from across the globe. He wanted to bring audiences back in time to the 1920’s by basing the look and feel of his prints on the commercial art from the USSR while the half-tone color palettes were influenced by Cuban silk screens. 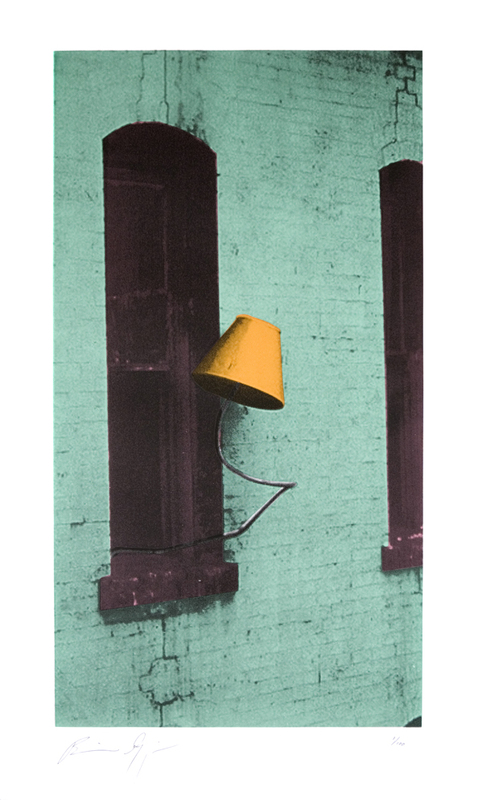 All of these prints depict a memory of the Defenestration building that has been altered to put a fresh new context on the sculptural furniture pieces that have decorated the building’s walls for the past 13 years. Profits from the sale of the prints go towards the restoration of the Defenestration building. 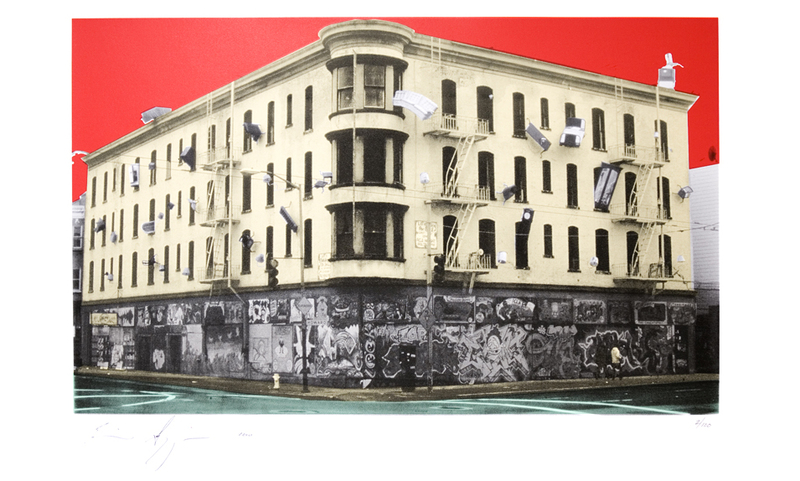 Support “Operation Restore Defenestration” and buy a limited edition print! The exhibition is up through April 27th but if you don’t have time to pass by the gallery, purchase the limited edition prints at 1:AM’s e-commerce site. To learn more about the project, visit www.defenestration.org.